Oslo: Few nations’ offshore sectors have been hit harder by the oil price drop than Norway, yet Erna Solberg, the country’s prime minister, remains defiant that Norwegian offshore firms can ride out the current doldrums. Utilisation rates for OSVs around Norway have dropped by around 50%, rates have fallen 20% and asset prices are off by up to 20%. In an exclusive interview with Maritime CEO, Solberg, 54, says Norwegian offshore is going through a major period of reform, yet it is not in crisis. 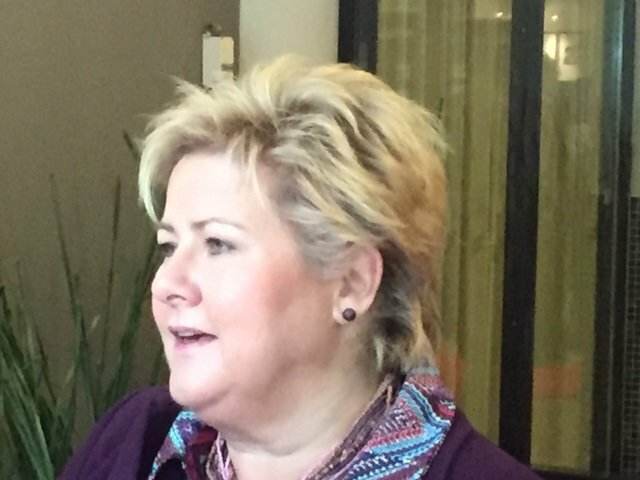 Solberg, who became prime minister in October 2013, says many oil activities have been postponed, but the situation today is on a level with 2011. Solberg declines to comment on where she sees the price of oil going in the coming months. Nevertheless, with prices down, news of ships and rigs being laid up and people laid off have become near daily occurrences in Norway this year, however Solberg maintains unemployment as a whole remains low in the Scandinavian country. Registered unemployment stands at 2.9%, and the estimated number of unemployed people including those not claiming benefits stands at 4%. Maritime jobs account for around 110,000 people in Norway, a country with a population of 5m. Solberg maintains that Norway’s high cost base is both a challenge and an opportunity.